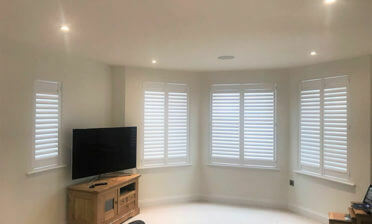 These shutters were fitted for a customer in West Wickham, Kent. 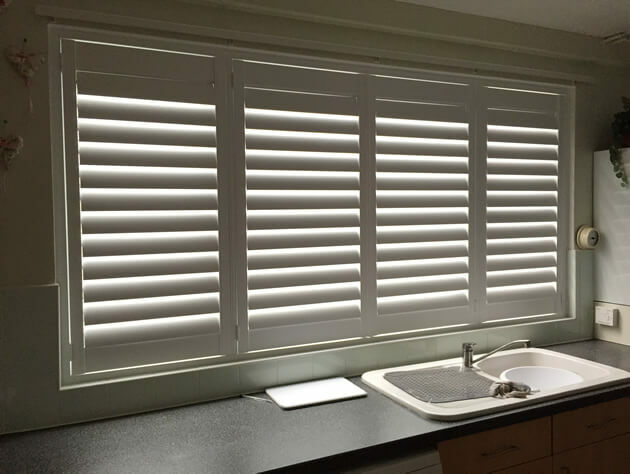 They are created from our Bali Range which uses an LDF shutter with light weight ABS louvres, which is great for areas such as Kitchens that come into contact with water and moisture. The ABS louvres are also far more cost effective than using real hardwood so can act as a cheaper alternative without lacking in quality. These shutters can also be finished in 28 colours and 20 stains depending on the look you are trying to achieve. 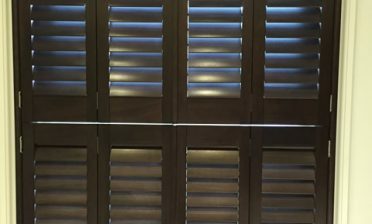 The shutters are full height and hinged along each shutter so that they can be individually opened as well as adjusted. 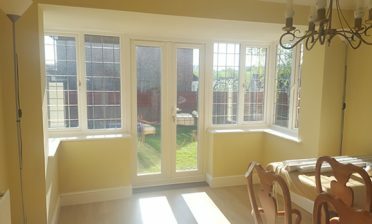 They feature 76mm louvres and are finished in Pure White with matching white hinges. There are no visible tilt rods needed as it uses a silent tilt rod system which allows for adjustment through touching a louvre. With these being made from ABS there is no problem with using wet hands when adjusting.